When it comes to being good corporate citizens, enlightened self-interest can and should carry they day. Learn how two remarkably different companies, Gibson Guitar and IBM, are doing good for their brands and their communities. At first glance, Nashville-based Gibson Guitar and Armonk-based IBM are about a million miles apart in almost every way imaginable. Privately held Gibson makes musical instruments, many of them by hand, much the same way they did 100 years ago. Publicly held IBM continues to reinvent itself, delivering services and technology that weren’t imaginable a century ago. Nonetheless, both of these brands are leaders in their respective arenas–Gibson the artist, if you will, and IBM the scientist. More profoundly, both companies share a common commitment to their communities as exemplified by Gibson’s GuitarTown and IBM’s The Great Mind Challenge. A closer look at these two programs will reveal the art and science of doing well by doing good. When Nina Miller, now executive director of the Gibson Foundation, first approached the CEO of Gibson (Henry Juszkiewicz) in late 2003 about the idea of a public arts project featuring 10-foot guitars crafted by local artists, she was in unchartered waters. “I went and got permission from the mayor’s office and then I kind of figured it out from there,” recalls Miller. Six months and a lot of hard work later, 50 giant guitars adorned Nashville’s sidewalks and over $400,000 had been raised for local charities by auctioning off the guitars. »Should Marketers Strive To Make A Difference? GuitarTown is a complex program that involves artists, musicians, city governments, and numerous sponsors. 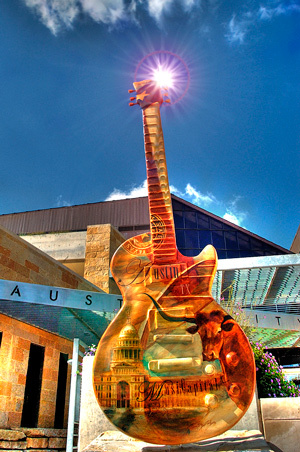 Artists create the guitars, the musicians lend their celebrity by signing the sculptures, cities provide the public art space, and sponsors defray the costs. “We did want it to be a community effort,” Miller says. Because each participant had something to gain from being involved in the program, all were eager to get on board. Similarly, The Great Mind Challenge brings together a broad cross-section of talent. “Students receive education, tuition, and mentoring from social business thought leaders, authors, top executives in the social business [arena] and, of course, IBM social business experts,” says Michael Riegel, IBM’s VP of Academics and Startups. And while the students are learning, corporations get fresh thinking about their challenges and universities gain access to new technology they might not otherwise afford. While GuitarTown generates goodwill by creating public art and donating auction proceeds to a broad range of nonprofits, the core of this program is a celebration of guitars and the musicians who play them. The art itself, after all, is inspired by the iconic Les Paul and Chet Atkins model guitars. Additionally, the musicians/celebrities who sign these larger-than-life sculptures are essentially endorsing the Gibson brand, albeit for socially conscious purposes. 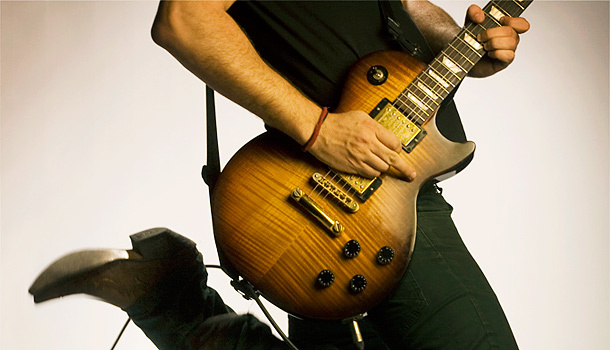 Ultimately, the good that comes out of GuitarTown leads to positive associations with the Gibson brand. The connection between IBM’s most recent program with San Jose State and IBM’s push around “social business” is obvious. But that doesn’t make it less “good,” especially to the students enrolled in the program. “When you are given access to the latest materials and platform to create a social business, then this is collaboration at its highest–this is where academia and business intersect,” explained SJSU’s Gee. This is a win-win scenario, in which what’s good for the brand is also good for the community. After a successful debut in Nashville, GuitarTown has been rolled out in successive years to Austin, London, Orlando, Miami, and LA’s Sunset Strip, raising over $2 million to date. Gibson just announced that Waukesha, Wisc., the birthplace of Les Paul, will be the next stop. Resisting the temptation to try something new, Gibson has stuck with the program, evolving along the way. “Each city has handled it a little differently, [yet each delivered] great publicity for Gibson and several charitable causes in each city,” Miller said. Although IBM just introduced The Great Mind Challenge in the U.S., the program has grown steadily on a global basis. Riegel reports that this unique initiative “has attracted over 100,000 students and hasn’t only focused on social business skills–IBM is also mentoring students in key areas of technology and engineering, including analytics, programming, and software development.” Companies that are looking to do well by doing good should take note that such programs require a long-term commitment. These two exceptionally “good” programs have many other commonalities. First, both are from brands that are well respected in their fields, which, Miller says, “opens a lot of doors.” Both look a lot like marketing as service, providing demonstrable value (versus traditional advertising messaging) that enables a deeper and more meaningful relationship with a broad target audience. Finally, there is a lot more to each of these than I could squeeze into 900 words–so be sure to see my interviews with Gibson’s Nina Miller, SJSU’s Larry Gee, and IBM’s Michael Riegel on TheDrewBlog.com.